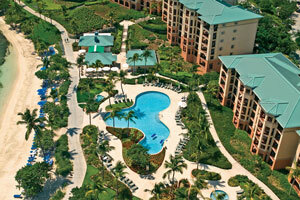 St. Thomas, USVI - McLaughlin Anderson Luxury Villas has rejuvenated its Ritz-Carlton Club® St. Thomas rental program. Since 2003, owners of the luxurious 2- and 3-bedroom beachfront units have relied upon the company's expertise. While not affiliated with The Ritz-Carlton Club® itself, McLaughlin Anderson maintains agreements with dozens of owners who have authorized the company to act as their rental agent. McLaughlin Anderson Luxury Villas was founded in 1985 with a portfolio that now features over 100 properties on 7 Caribbean islands, including the U.S. Virgin Islands of St. Croix, St. John and St. Thomas. Company President Nancy M. Anderson noted that economic changes over the past few years have led to a change in the ebb and flow of inquiries as well as availability, resulting in fewer rentals over all. "However, we've recently been seeing a significant uptick in interest in Ritz-Carlton Club® rentals on St. Thomas, particularly in our monthly SEO reports. We still strongly believe in the RCC product and are again ready to support it and our owners," she stated in a recent memo to owners. As demand for Suites (Friday to Friday, with mini-kitchens and Dining Club services) has dwindled significantly, the Suites will no longer be offered for rent. Both the 2- and 3-bedroom units in the Residences (all with fully-equipped gourmet kitchens) will now be available, Saturday to Saturday. Rate reductions have been made across the board, in an effort to vigorously support this esteemed brand. For more information on weekly rentals at The Ritz-Carlton Club® St. Thomas, please call 1-800-537-6246 (Toll-free) or 1-340-776-0635 (International/Direct), or email reservations@mclaughlinanderson.com.